Hello guys, im in need of some assistance with my Xbox LIVE. I recieved the Wireless Adapter today and im connected to my wireless internet, but for some reason it doesnt find an IP when it does the LIVE test and thus does not let me connect to LIVE. I have a Netgear router. I tried putting my PC internets IP, Gateway etc. in with no luck. I tried letting it find an IP automatically with no luck. Also tried disconnecting my internet on the PC etc. but nothing seems to be working so I thought id make a post here, I saw a similar post but it didnt give me any answers. edit: Its probably worth mentioning that my connection is shared by 2 other computers through the router. Edited by erah, 13 January 2009 - 11:33 AM. I'm Oblivionon360, and i'll Try to help you. I'm sure some other Geeks in training might have some thoughts on this problem and I do suggest you seek out every possibility. I personally do not run my xbox wirelessly, But I know many who do. Do you run your Xbox on a Static IP? If not then this may be your problem. What model is your netgear router? And do you already know if it is compatible with Xbox Live? A static IP being? Im not too known around these things, but I dont think we have 1 constant IP. I havent checked if its compatible with LIVE, but I belive the problem could be closed ports, and I dont think we received a CD or anything along with the router. Is there maybe some software I can download to access the router? Don't worry about the late reply. You learn quick at GeeksToGo, that you can't expect everything quick. It just won't happen all the time. Ok, First you will need to creat a static IP. For this you will need to know the router Default Gateway IP. You can do this by going to Start>Run> type Cmd>when in command promt Type ipconfig /all and yes you will need to type it exactly with the space. 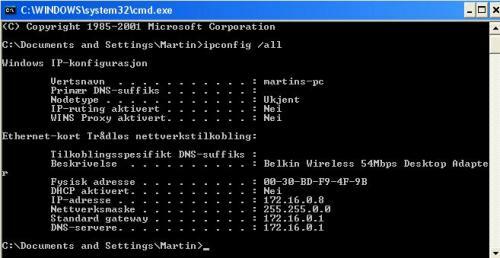 Look for the information next to Default Gateway. Write this down or type it in a Notepad document. Next from this information you will need to determine what IP you would like to set your Xbox up with. It will need to be similar to your Default Gateway while not exact. So, If your Default Gateway is 192.168.1.1 I would suggest Something like 192.168.1.35 or 192.168.1.73. It really does not matter as long as you only change the last set of digits and do not exceed 192.168.1.254. I do suggest not using 1-10 for those are the IP's that any computer set up to automatically find an IP will use. 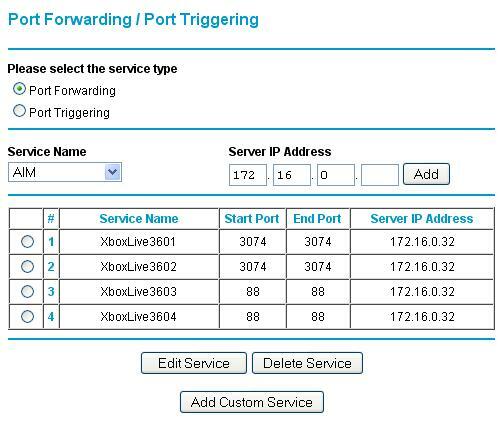 Once you have decided this you should follow step by step Instructions for configuring your Xbox for a Static IP, found Here. 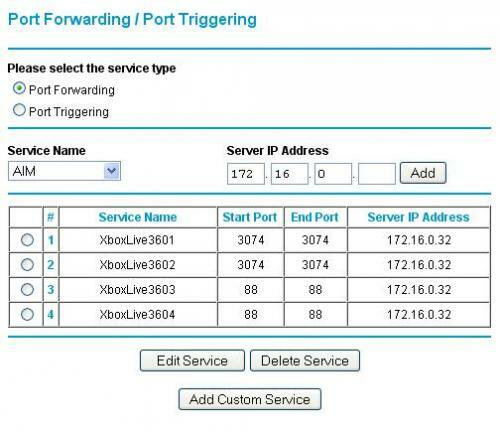 Next you will need to open ports on your router for the specific Static IP you have chosen. For this you will need to enter HTTP:// into your web broser address bar followed by the Default Gateway you found earlier. So, if your static IP was 192.168.1.1 then your entry into the address bar should read HTTP://192.168.1.1 For the rest of the instructions you should follow a step by step guide found Here. If you find that the user name and password for your router provided in the guide are not accurate then you may need to do a search for a default password for a Netgrear WGT624 v3. If you have any other questions or comment please feel free to post them here i am usually easy enough to get in contact with. Hey again, I have a norwegian Windows XP so bare with me but I think youll understand whats what. My IP on ipconfig /all used to be 172.16.0.2, I belive I made a static IP on my computer at first hehe.. I tried using the Automatic IP with a different digit at the end (It was 169.254.222.187 or so and I put it to 2). Im not sure what ive done wrong here but it still isnt giving me an IP, I belive I opened the ports the right way. Ok, I see you did start to configure the router settings but i believe you are setting them for the IP that your computer uses. Also i notice that your default gateway is actually read as standard gateway thanks for that correction now did you follow the steps for creating a static IP on your xbox found Here. And i know if you have been running Xbox live befor the new year you have probably recieved the New Xbox dash borad. the steps are similar but on the My Xbox row you slide all the way over to system and select it. Then select configure network, and then the steps should be reletivly easy to follow from the guide. But from what i can tell your on the right track. Edited by Oblivionon360, 24 January 2009 - 08:12 PM. I forwarded the Xbox ports to 172.16.0.32 but I still cant get an IP through the Live test. Have I missed out on something here? Should I try other digits at the end and forward ports to that aswell or wont it make a difference? 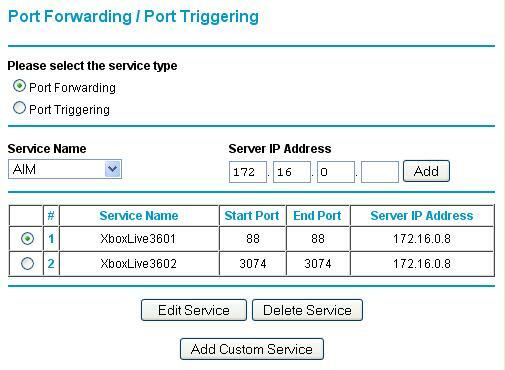 Ok, first check your router port set up and under the 3074 port you need both TCP and UDP on my router i had the option to select both under the one entry, but i found out this does not always work with the Xbox. Secondly, do not Insert the DNS information from your computer into your Xbox. You should Attempt a connection while your DNS Setting is set to automatic. 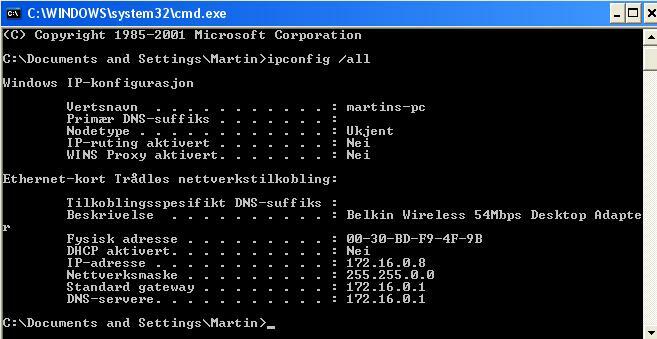 If this does not work You should contact your Internet Service Provider and ask them for the DNS Numbers when they ask why tell them the trueth that you need it for your Xbox. And no changing the Static Ip for your Xbox will not solve the problem The Problem is not with The IP youve Chosen but rather a connection error. Edited by Oblivionon360, 25 January 2009 - 10:57 AM. Check attachment for how I set the router ports up this time, I did UDP and TCP seperatly on 88-88 too just incase. Ill try automatic DNS Settings. Well my ISP is http://lyse.no/ but it will probably be abit hard for you to help me seeing as its all in norwegian! I just tried again, DNS set to automatic, changed the port thing but it still doesnt get past IP Address. (Says failed). Didnt see the bottom bit of your post, ill have to move my Xbox out in the living room if im testing that. Reason I got the Wireless Adapter is because I cant get a cable input in the wall for my connection (not sure if that makes sense, dont know what its called). Edited by erah, 25 January 2009 - 11:07 AM. From what I can tell your subnet mask is Fine. So next step is as i asked you before. Can you directly connect your Xbox to the router with a network cable and unhook the wireless adapter to identify if it is your router or your wireless adapter. also your right the site didnt help me much i was actually just refering to the ISP name. I cant try that yet, the TV in my living room is occupied Im just wondering though, is it possible to use my network cable from the PC that has a wireless network into the Xbox and get internet that way? Through my PC. There is one thing i did forget to ask. When running a wireless network often times users set up what is called a WEP(Wireless Ethernet Protection) Key. Do you have other wireless devices running on the same netwrok and if so then you may need to check and see if they are running with a WEP. If you are running it then just say so i will walk you through steps to enter this into your Xbox or if you do not know then i can walk you through Steps to find out if you need to enter a WEP. you will only be able to find out if you are running a WEP if you havve a Wireless computer networked. such as a laptop. Edited by Oblivionon360, 25 January 2009 - 11:28 AM. On the PC im currently typing from is on a wireless connection, if WEP is the key(password) I have to type in to connect to the wireless network then yes im running that. edit: When the Xbox found my wireless connection I typed in that key, so im not sure if thats the case seeing as I am connected and everytthing. Edited by erah, 25 January 2009 - 11:21 AM.